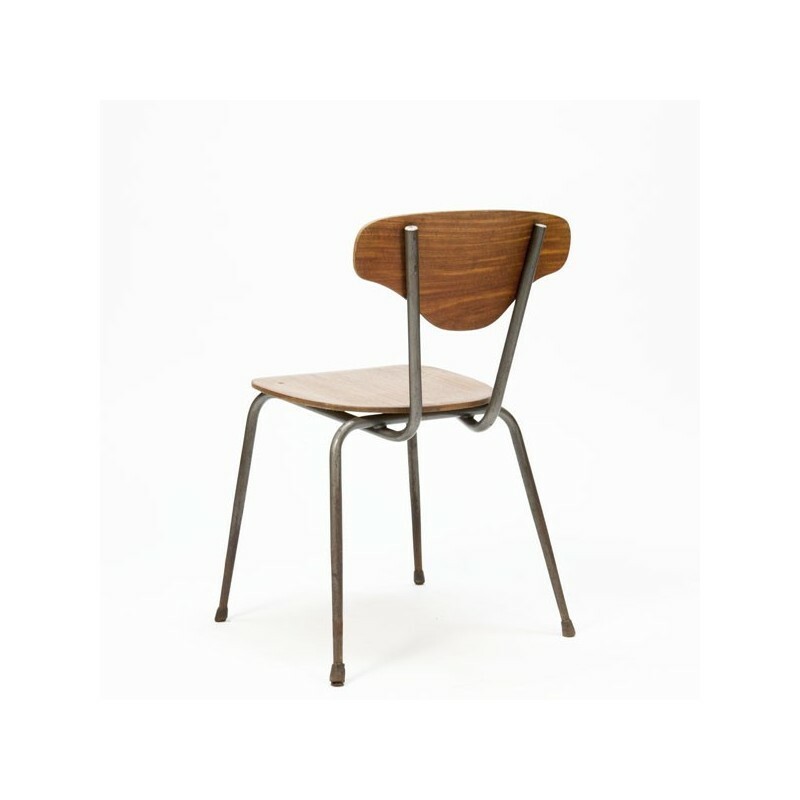 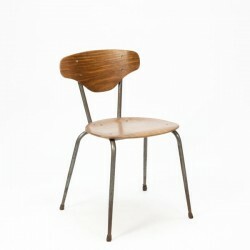 Vintage school chairs (small model) from Denmark with a wooden seat and metal frame. 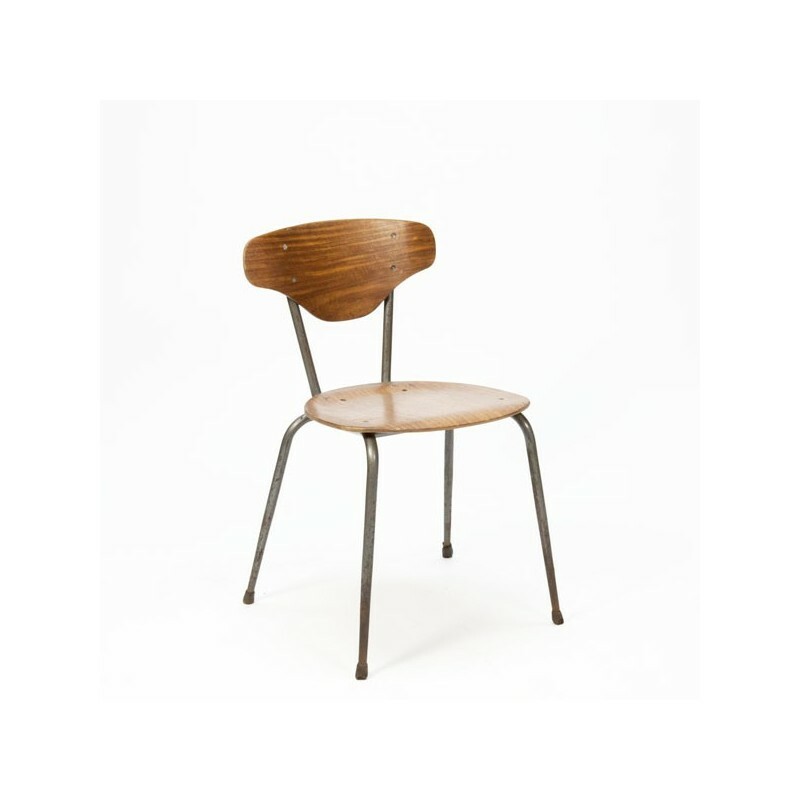 The chairs have a industireel look and are in reasonable condition, there are traces of use, see detailed pictures. 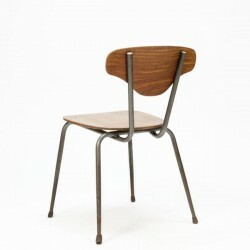 The size is 40.5 cm W / SH 41 cm / 69.5 cm H.